Any one of you who have spoken to me, even once, have probably heard my praises of garlic. To me, it's simply a miracle cure. Not to mention the fact that it'll keep vampires away. Traces of garlic have been found in caves that were inhabited over 10,000 years ago, which tells us that garlic is almost older than we are (maybe older?). Egyptians swore oaths on garlic, fed garlic to their slaves to give them strength. Garlic caused one of the earlier labor disputes after it was withheld from the slaves working on the pyramids. Garlic was found in King Tut's tomb as an essential plant for the afterlife. Ancient Greece believed if you chewed garlic before a foot race, no one could match your swiftness. Romans called garlic the herb of Mars, the god of war. They would eat garlic before battle to ensure strength and bravery. The medieval French told a legend called "Four Thieves Vinegar," where four thieves were hired to bury the dead of the plague since they couldn't get the plague - they were drinking a mixture of garlic and vinegar, and this mixture is still sold in France because "no one has died of the plague since." Another old legend states "when Satan stepped into the world, garlic sprang from his left footsteps, while onions grew from his right." Italians believed that if you were in the presence of evil spirits, you should bite a clove of garlic to banish them. Of course we're all familiar with hanging garlic from a red thread from the walls and doors or in a protective wreath for your home. There are many more legends, which seem to all lead to some very practical uses today. Garlic is ruled by the planet Mars, which gives it its ability to battle illness. 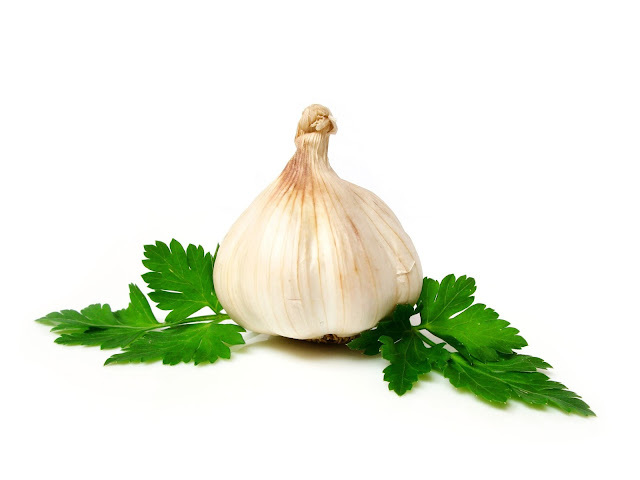 Although ancient people believed that garlic protected them by attracting the spirits to it instead of their house, it is very true that garlic and onions both attract germs. You should never leave a garlic clove out in the open unpeeled because it works like a magnet to collect germs, hence its healing powers when ingested or used as any type of remedy. Garlic is a "heal-all." It has antibiotic qualities and attacks bacteria much like penicillin. Hippocrates, the fifth-century B.C. physician known as the "father of medicine," was the first to use garlic for infections, wounds, cancer, leprosy, digestive disorders, and ailments of the heart. Roman naturalist Pliny the Elder used it for colds, epilepsy and tapeworm, while sixteenth-century innovator Culpepper used garlic when treating all diseases. Garlic prevents blood clots by making the blood "less sticky," opens blood vessels, and reduces blood pressure. During WWI, Army doctors soaked spagnum moss in garlic juice and placed it on infected wounds to guard against gangrene. It proved better than penicillin for typhus of the same period. Garlic contains Vitamin C and prevents scurvy, fights tuberculosis, eliminates lead and other toxic metals from your body. Used as an antibiotic to fight bacteria, it kills the bacteria, while leaving your own system intact. Garlic also contains potassium and is rich in sulfur. 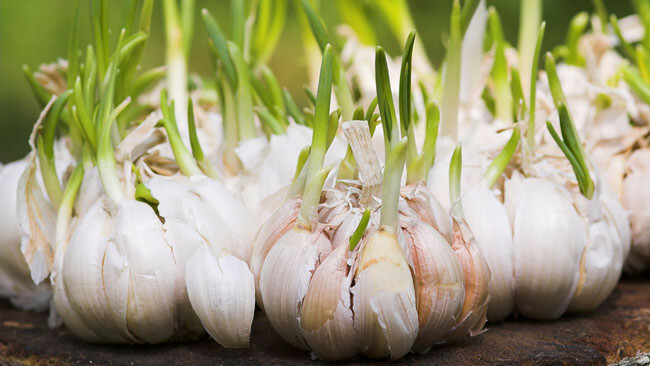 Garlic is easily grown and can be rooted by removing individual cloves, leaving the papery skin on, planting with the pointed end up, about 2" deep and 1' apart. It tolerates partial shade and will grow well in full sun. Do not allow it to blossom - when the stalks appear, cut them off so that the nutrients stay in the bulb. When the leaves begin to yellow and brown, they are ready to pick. Simply place on a screen or on newspaper in a shaded area to dry it. Store your garlic in a cool, dark place; or braid it and hang it for a very pretty effect. 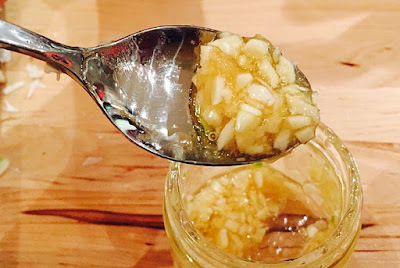 Garlic Syrup: Peel three (3) entire bulbs of garlic, simmer in a non-aluminum pan in two (2) cups of water. When they are soft and have reduced to one (1) cup of water in the pan, remove the garlic and place it in a mason jar or other sealable jar. Add one (1) cup cider vinegar and 1/4 cup of honey to the water in the pan. Boil until the mixture gets syrupy. Pour the mixture over the garlic, cover and let stand overnight. If any aluminum is used, it will make the remedy ineffective. Garlic Syrup Variation: Slice one (1) pound of garlic into one (1) quart of water. Bruise one (1) ounce of caraway, one (1) ounce fennel seed, and add it to the garlic water. Boil the mixture until the garlic is soft and let it stand 12 to 14 hours in a covered container. Measure it at the end of the 14 hour period, and add an equal amount of cider vinegar to whatever measurement you have. For example, if you have 2 1/2 cups of garlic water, add 2 1/2 cups of vinegar. Bring this entire mixture to a boil and add enough sugar to make a syrup. Using either of these mixtures, one (1) teaspoonful every morning, should keep illness far away and can be taken for general health. You will smell of garlic. If you want to see how fast garlic gets into your system, rub an open clove on the bottom of your feet... within seconds, you will be able to smell it on your breath. For those who are concerned about the odor of their breath, simple garlic capsules may be a more desirable form to use.